Now in full colour, the third edition of this well established book provides a readable and highly illustrated overview of the aspects of geology that are most significant to civil engineers. Since the first edition was published in 1983, this highly-regarded introductory textbook has been used by many generations of students worldwide. It is specifically tailored to the requirements of first or second year geology undergraduates. Introduction to Ore-Forming Processes is the first senior undergraduate – postgraduate textbook to focus specifically on the multiplicity of geological processes that result in the formation of mineral deposits. This text is directed at the heart of Engineering Geology where geology is used to identify potential problems arising from ground conditions. It describes how to investigate those conditions and to define an engineering response that will either avoid or reduce or even eliminate the problems revealed. This book and the accompanying DVD provide a statement of our knowledge and understanding of engineering geology as applied to the urban environment at the start of the 21st century. The understanding of Earth processes and environments over geological time is highly dependent upon both the experience that can only be gained through doing fieldwork, and the collection of reliable data and appropriate samples in the field. 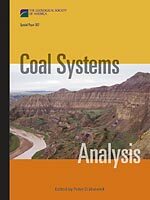 This textbook explains the main data gathering techniques used by geologists in the field and the reasons for these, with emphasis throughout on how to make effective field observations and record these in suitable formats.